Each league runs 8 – 10 weeks. The first week of League consists of playing for placement. There are 6 levels of placement: A-1, A-2, A-3, B-1, B-2, C and Juniors. Division A-1 is considered the highest ranking, C the lowest. Juniors are 8-14years of age. The next 7 weeks are actual play in a round-robin format. The last week is designated for make ups and the League Awards Party. Leagues are $15 for members. The fee for non members is $50.00. Contact Renee Sitter to sign up. Youth League for ages 7 to 15 is offered Fall (Sept thru Nov) and Winter (Jan thru March) on Saturday afternoons. It is offered as part of All Sports Camp during the Summer. We usually host 2 to 3 Racquetball Tournaments each year. 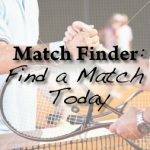 The Southern Arizona Tournament is in October, the No Strings Attached Tournament is in April. The National Women’s Racquetball Tournament will be here January 15 – 17 of 2016. 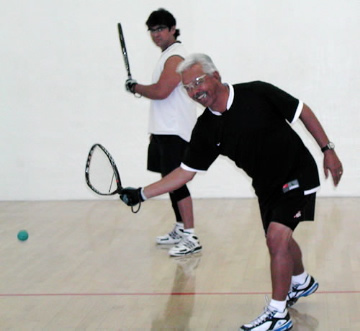 Wilson 1-2-3 Program offers a free 90 minute Racquetball lesson. Contact Dave Hendricks at extension 357.